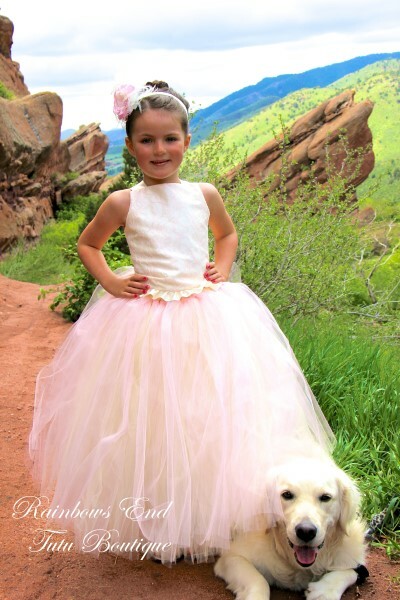 The BLUSH Couture Dress is a beautiful and elegant tutu gown. 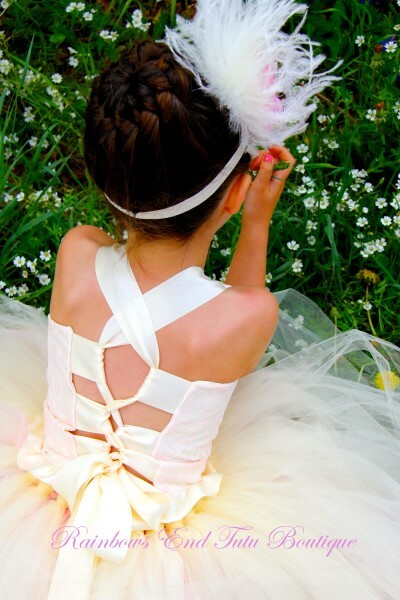 The beautiful corset top has a pink lace overlay on an ivory satin bodice. It it reversible to allow two different looks. This glamorous gown is made of hundreds of yards of premium ivory and light pink glimmer tulle SEWN , not tied onto an elastic waistband.